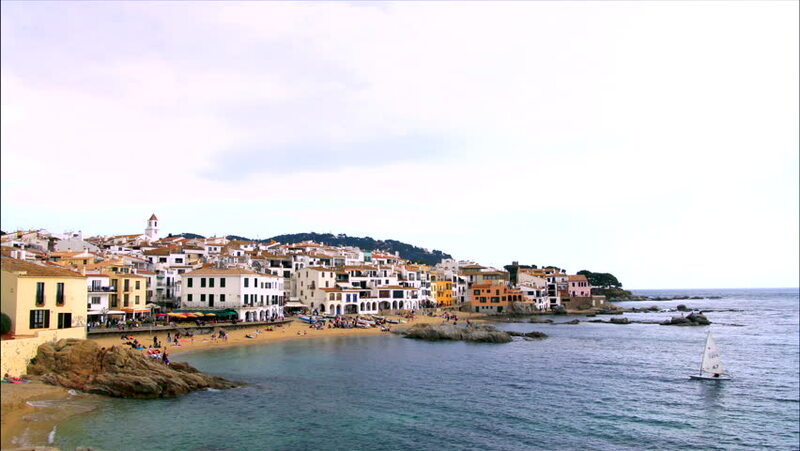 Picturesque Mediterranean fishing village time lapse in la Costa Brava, Girona. Typical Mediterranean landscape with white houses, tile roofs, wooden boats and pristine beaches. hd00:37Static extreme wide time lapse shot during a sunny day of Baia del Silenzio in Sestri Levante, a colorful fishing village shoring the Mediterranean Sea on the Ligurian Riviera in Italy.